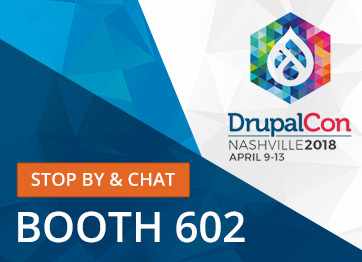 Unleashed Technologies will be exhibiting at DrupalCon 2018 in Nashville for the April 9-13 conference. We invite attendees to visit us at booth 602 to discuss how Unleashed Technologies can help organizations acheive their digital goals. Webinar: What Is Design Thinking? Unleashed Technologies hosted a design thinking webinar on March 29th, 2018. The webinar titled "Stop Building Membership, Start Building Communities: How Might Associations Create Value Through Design Thinking?" featured a panel of Joseph Carter-Brown, Jennifer Jericho, and Kate Lawless. Unleashed Technologies hosted "The Rise of Progressive Web Apps", a webinar examining the up-and-coming technology of Progressive Web Applications (PWAs), which are predicted to replace traditional mobile apps. A recording of this webinar is now available. Friends of the Israel Defense Forces (FIDF) partnered with Unleashed Technologies to design and develop a new web property. This Drupal 8 site adds to the growing list of Drupal 8 sites that Unleashed Technologies has launched, now totaling over twenty-five. Unleashed Technologies is being honored as a 2018 Baltimore Corporate Culture Award Winner by CEO Report. The Corporate Culture Award celebrates companies that encourage a creative and collaborative culture.